Millions of people have trouble dealing with snoring. It is the snorting sound made within the throat when people are sleeping. It may not be physically dangerous, but it can ruin relationships. What makes it more annoying is that it is involuntary so there is no way anyone can forbid themselves from snoring. Fish can help relieve snoring. It contains as much protein as red meat, but it doesn’t have as much saturated fat. It prevents the inflammation of nasal passages, so your throat will be able to relax when you are fast asleep. It is also a concrete source of omega-3 fatty acid which is good for the cardiovascular system. Increasing your fish intake will improve your overall health. Honey is known as a throat-friendly food. It is recognized for its ability to reduce the swelling around the soft palate. It also cleanses and fights the bacteria found in the throat. You can also incorporate honey with other beverages such as milk and tea, making honey a delicious remedy to relieve snoring. It is also full of happy hormones called serotonin which can boost your brain and incite restfulness. Olive oil is the best substitute for fatty products such as margarine, lard, and butter. It has minimal saturated oil, so it prohibits the acid from traveling all the way up to the esophagus. It is also healthier to consume because it prevents the inflammation of arteries. It is best to take a sip before sleeping. Onions are known to cause foul breath, but onions excel at clearing sinuses. It also reduces the inflammation of the throat. You can swallow chunks of onion for better results, but if the taste is too much for you to handle, you can mince the onions and mix them with other foods to hide the taste. It is also full of antioxidants which boost the cardiovascular and immune system. Soy milk is a good alternative for cow’s milk. It doesn’t cause allergic reactions to people who have lactose intolerance. Allergic reactions block the nose and throat. Therefore, soy milk prevents the development of mucus in the throat area and stops the congestion of the nasal passage. Teas are great for minimizing phlegm. Phlegm clogs the airway, so when air comes out it produces vibrating sounds. Mint tea is the most effective type of tea because it cools down your nasal passage. You can also mix tea and honey to double up the effect. It will make you sleep better since your airway passage is cleared. It is also good to drink hot tea because the warmth can ease the tension of the throat. Turmeric is an effective food for preventing the swelling of airways. Snoring is reduced as long as the airways remain open. You can add turmeric powder in a warm glass of milk and make sure to drink it before sleeping. Ice cream – It thickens the mucus in the throat that causes blockage of airways. Spicy foods – These cause indigestion which leads to obstructed esophagus. Canned goods – They increase the production of phlegm because they were intentionally produced with high amounts of sugar and salt to elevate the taste. You can still eat these foods from time to time, but make sure that it is not included in your dinner. You should also observe a healthy lifestyle. 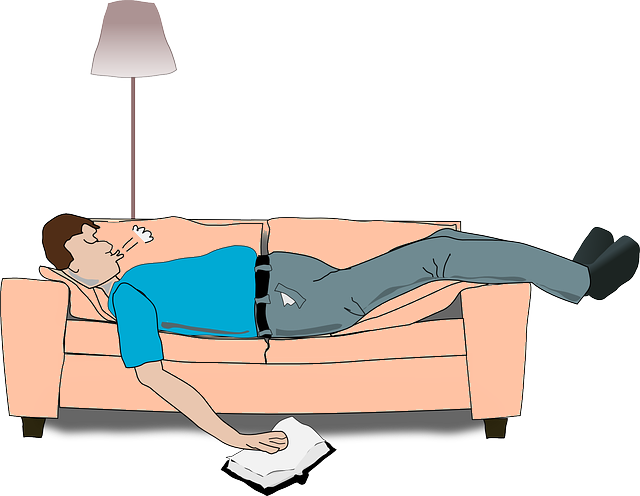 Consuming large amounts of anti-snore foods will not get you far unless you let go of your vices. It can be tough at first, but if you discipline yourself, you’ll be able to reduce your snoring. It would also be helpful if you monitor your snoring. You can do this by asking your partner or record your sleep. Take note of the nights when you snored loudly and try to remember the foods you consumed before sleeping. Chances are there are other foods that triggered your snoring. It would be best to avoid them and change your diet accordingly. Now that you know the 7 foods that help to relieve snoring, it is up to you to create your weekly diet. These foods are available in the market and are not expensive. Don’t be afraid to be creative when mixing these foods with other viands. You can also experiment and find out which food helps you the most. There are also other ways to reduce snoring like using a mouthpiece or having proper sleeping postures. If the loud snoring still continues after a month of diet, you should consult your doctor. Remember that you are doing this to give yourself and others around you a goodnight’s sleep. After all, everyone deserves to get rest in order to perform well the following day. 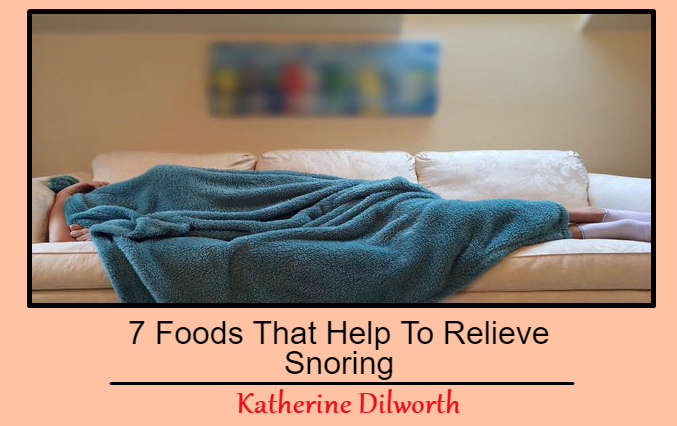 This Concludes: 7 Foods That Help To Relieve Snoring. What Did You Think Of This Post? Please Let Us Know By Rating Below!